I interviewed sixty people to collect true tales of the odd, unusual and downright scary from historical Shakertown in Mercer County, Kentucky. This is the complete book on CD including some flute music of Shaker tunes. These amazing stories come from visitors to and employees at the over 200 year old Shaker village near Harrodsburg, KY. 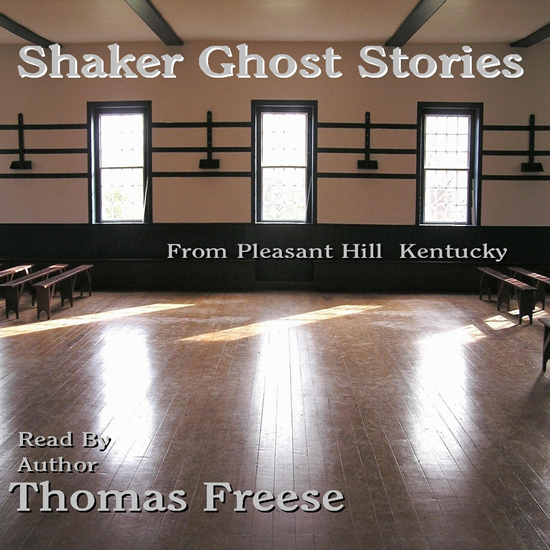 I give background information about the Shakers and there is a walk through the village highlighting tales of Shaker spirits, sightings and sounds of mysterious ghostly activity. The spirits of the Shakers are still active, singing, dancing, working and interacting directly with mystified mortals.